The 2014 Master National was well represented by dogs and handlers from Cheryl’s Dog Training. There were eight dog and handler teams that qualified to run at the Master National, and six of these teams entered the event. It is quite an accomplishment to qualify and run at the Master National, and each team deserves a big congratulations! Congratulations to Keltie & Cheryl, and Keltie’s daughter Jade and O/H Suzanne Mikolajcik for completing all six series and earning a coveted pewter plate at the 2014 Master National! These dog and handler pairs demonstrated great teamwork and composure, running the tests over an eight day period in conditions ranging from hot sunshine, to blustery winds and rain. All of their dedication and time spent training in preparation for the event were well rewarded. Cheryl is very proud to have 2 Magicgold dogs finish the 2014 Master National! Outstanding job Keltie and Jade!!! Congratulations to Bruce and Reegan on qualifying for the Master National! They not only earned the necessary 6 passes, but they earned 8 straight passes in a row! Way to go Bruce and Reegan! Congratulations to Cheryl and Gabby on qualifying for this year’s Master National! Having qualified for and finished a previous Master National, Gabby’s experience and talent enabled her and Cheryl to quickly earn their 6 passes needed for the Master National this October. Great job Cheryl and Gabby! Congratulations to Cheryl and Keltie for earning 6 straight passes to qualify for the Master National! Besides qualifying for the Master National, Keltie has had a busy spring, whelping a litter of puppies in March. Way to go Cheryl and new mama Keltie!! Congratulations to Jean and Flyer for earning their 6 Master passes to qualify for the Master National! This is the third time Flyer has qualified for a Master National. Good job Jean and Flyer! 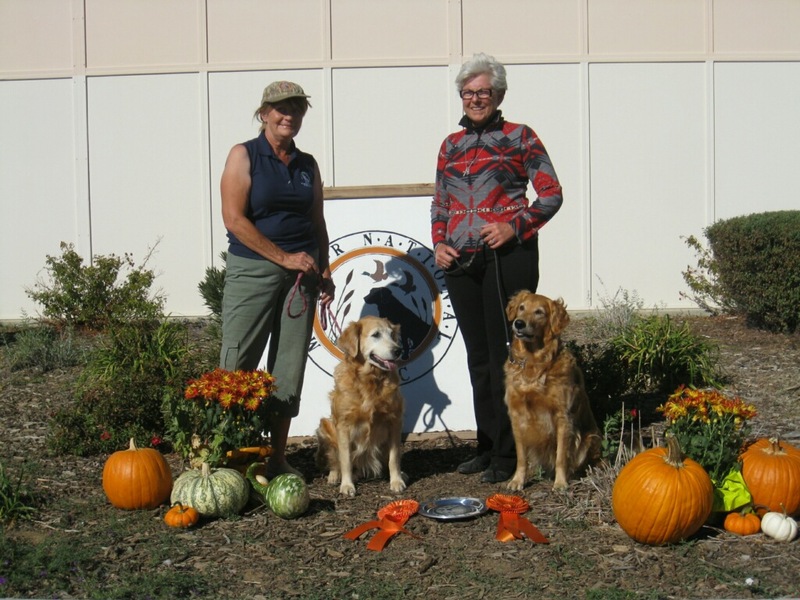 Congratulations to Ardith and Ryman for earning 2 Master passes at the California South Coast Retriever Club Hunt Test at Lost Hills to qualify for the Master National! Great job! Congratulations to Bruce and Indee on getting a Master leg at the California South Coast Retriever Club Hunt Test to qualify for the Master National! Bruce and Indee obtained their Master Hunter title in April and then followed that with the MN qualification in May. Great work! Congratulations to Suzanne and Jade on qualifying for the 2014 Master National! This is the 4th year in a row that this team has qualified for the Master National. Great job Suzanne and Jade! Congratulations to Debbie and Ali’i on getting qualified for the Master National! Ali’i earned her 5th Master leg for her MH title and 6th Master leg to qualify for the MN in the same weekend. Way to go!